Join us for an evening in the company of Clare Balding and inspirational women from Sport, Media and Business. Trailblazers will be an exclusive experience for guests to attend an evening celebrating female talent in the Sporting, Media and Business worlds. The evening will start with a Q&A hosted by Clare, in conversation with Dame Katherine Grainger, Steph Houghton MBE* and leaders from the Sports and Media sector all sharing inspiring and insightful stories from their careers to date. The evening will also be a fantastic opportunity to network, bringing together female professionals from across Sport, Media and Business. Your ticket includes complimentary drinks at the beginning of the evening and food, as well as music and entertainment from the London Cabaret Club until late. 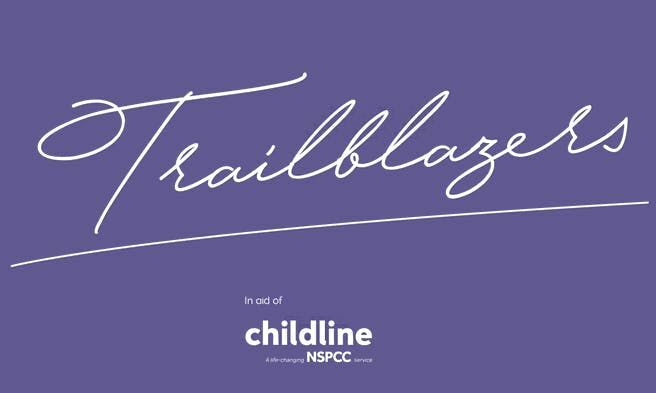 It’s also a platform to empower the future generation of women and young people, as all money raised by the event will go towards supporting Childline, a life-changing NSPCC service. Young people contact Childine about any number of issues but in 2017/18 almost two in five sessions related to mental and emotional health and wellbeing issues. Within this, over 5,000 counselling sessions with girls were on eating/body image disorders. By attending this event you will be helping us support young people and empower future generations who feel they have nowhere else to turn. This is an unforgettable evening raising funds for the NSPCC’s Childline service to help keep more children safe. With thanks to London Cabaret Club, Odgers Berndtson, Afiniti and Lidl our sponsors for the evening.